So, Mr Shuck had to be downtown yesterday. I took that to mean that God wanted me to go to Yellow Leaf on the way to work. I mean, seriously, we were only a couple (10) blocks away. 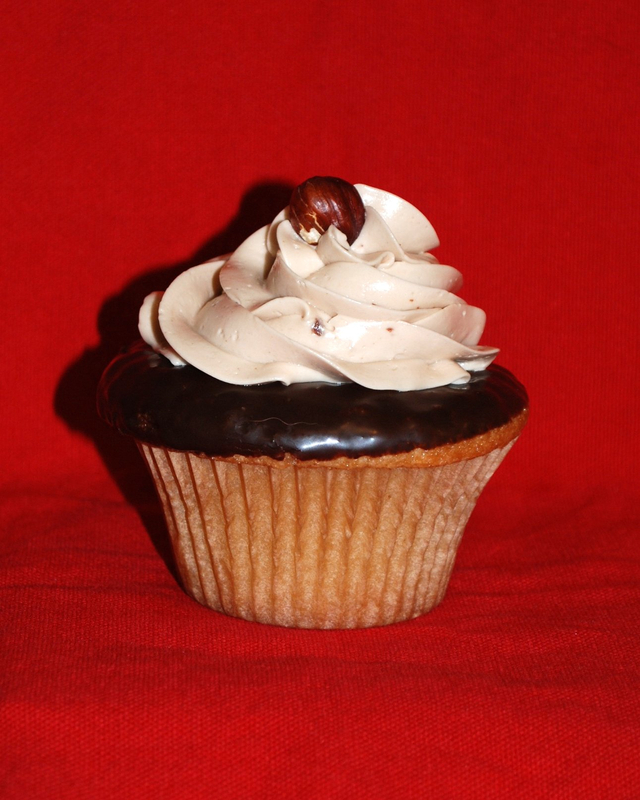 There was another sign from above when I saw the Hazelnut Cream cupcake. 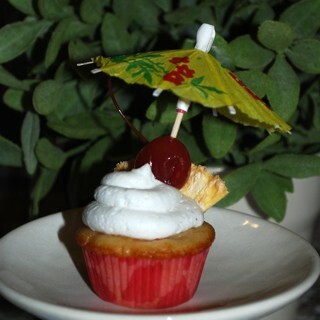 I was thinking, “I hope there’s some Nutella® in that”, as I asked for the cupcake. The chick behind the counter asked if I like Nutella® and informed me that there was indeed filling made from Nutella® inside. YAY! I made a mistake by eating the hazelnut off the top first. This left hazelnut bits stuck in my teeth and may have tainted my impressions. The vanilla cake was delectable (as always). The frosting was lightly flavored, but my underdeveloped palate couldn’t distinguish the flavor. The chocolate glaze on top seemed like it had a smidge of Nutella® in it, but that could have come from the hazelnut crumb in my teeth. There was a good tablespoonful of Nutella® filling inside. My only complaint about this cupcake (and keep in mind that I will eat Nutella® straight out of the jar) was that the “filling” was just a glob of the chocolatey spread. A mouthful of that is like a mouthful of peanut butter. Delicious at the appropriate time, but not velvety enough for the interior of an “upscale” cupcake. I think it would have been better whipped with some cream to give more of a ganache feel. as always, you can click the photo to enlarge.